Addisyn Murray said she learned from her mom how to give back to others. MANSFIELD—Most 10-year-olds are more into playing with friends after school, than doing charity work. But that wasn’t enough for one student at Mary Lillard Intermediate School in Mansfield. Instead, Addisyn Murray wanted to do something a little more meaningful with her time. Murray decided to raise money for Methodist Mansfield Medical Center by going door to door in her neighborhood. She got the idea to raise money for Methodist Mansfield Medical Center while her father was recovering from surgery in the Cardiovascular intensive care unit (CVICU). The Medical Center is a full-service hospital featuring some of the latest patient-centric design, amenities, and technology. Services include cardiology, gastroenterology, ICU, neurosurgery, orthopedics, radiology, stroke care and a women’s pavilion. While she didn’t raise a lot, the fact she took the initiative to raise the money is important. Indeed, the young student said, “It feels good.” As she handed hospital representatives a bright yellow envelope with the money inside. “I want the funds to go to the blood bank to save other’s lives at Methodist Mansfield,” Murray said. Having never done anything like this before, Murray spent one afternoon collecting the money. Both her parents witnessed the kind gesture and were beaming with pride inside her father’s hospital room at Methodist Mansfield Medical Center. 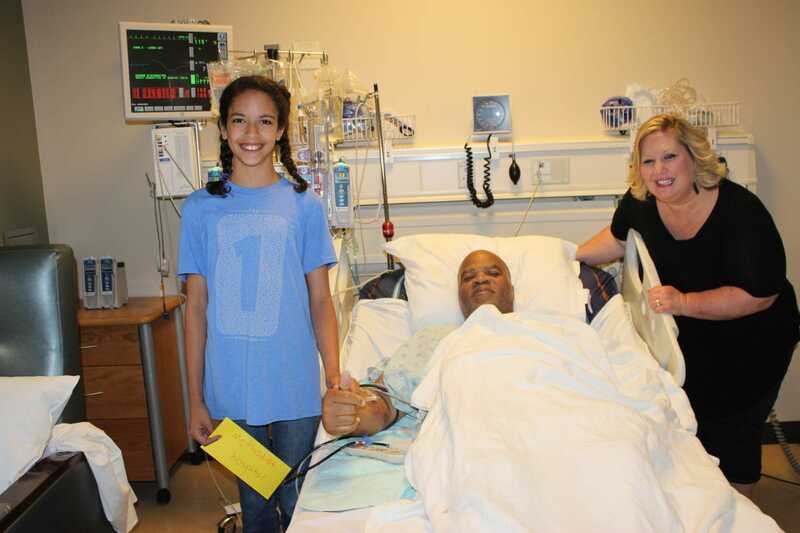 “We are so thankful for family members like Addisyn who give from the heart and help others,” said John Phillips, president of Methodist Mansfield Medical Center. Opened December 27, 2006, Methodist Mansfield Medical Center provides health care to folks in Mansfield and the surrounding communities including South Arlington, South Grand Prairie, Kennedale, Venus and Midlothian.